This is an awesome book with a simple plan for life wellness. 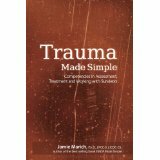 Not an exercise book, not a diet book, not a book on stress reduction or a science book- it is all rolled into one. A rational sustainable approach to healthy WHOLE-living. Check it out. If you need encouragement or support contact Erin. She is a coach and can help support you as you make changes that will suit you as you gain and maintain health. Marta Mrotek has written a wonderful book weaving her journey to wellness with yoga. 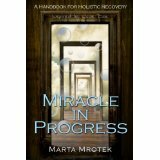 “Miracle In Progress” encourages the reader to investigate similarities between their recovery journey and faith path. Mrotek integrates every resource available for truly holistic recovery. She has also written a workbook to go with this book (published September 2014.) A worthy companion piece for workshops or group readings and study. Yoga was developed for yogis living in the caves and ashrams of India, yet the wisdom and philosophy of this ancient practice are needed in the modern world more than ever. Using humor and gentle wisdom Darren explores the principles of yoga in a fresh and relevant way. Within the first few pages, you will see why Yoga and the Path of the Urban Mystic is used as a textbook in teacher training programs the world over. Check out this book and others by Darren Main, a beloved and well-known yogi from San Francisco. Listen to his podcasts as well by going to Inquire Within. Chris Grosso’s first book arrived with great reviews.. He is an amazing person who tells it like it is. “Set amongst the backdrop of Grosso’s original music (includ­ed for download via QR codes in the text), “Indie Spiritualist“ encourages you to accept yourself just as you are, in all your humanity and imperfect perfection.” I am big on self-acceptance and self-love so this book, focussed as it is on self-acceptance and the profound spirituality of that journey made this a very uplifting, if irreverent, read. 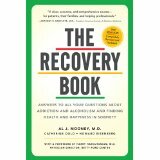 Focussing on substance abuse the updated “The Recovery Book” gives a plethora of information about the signs and symptoms of addiction as well as suggestions to address this fatal disease. The indexing is wonderful for quick reference – beware: once the chosen page and topic are located you will be drawn into the depth and variety of knowledge offered. “Healing Yoga for Wellness“ is well sequenced, simply narrated, and beautifully demonstrated. In her video, Lorien uses a good cross-section of people to demonstrate the postures: limited mobility to someone with balance issues. This DVD clearly teaches us that yoga can be adapted to meet any challenges, regardless of age or physical limitation. 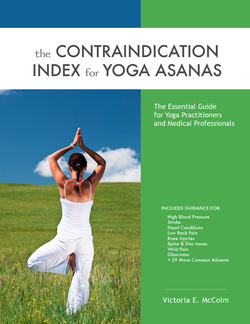 “Contraindications Index – Yoga Asana” is a wonderful e-book to have with you at all times. Very useful for yoga teachers who need to have a quick, clear and complete reference at hand for student questions or when they have limitations. It is also a wonderful resource for students and their studies. Read more about Victoria E. McColm and her work – as well as order the book go to her website. Expand your library and keep yoga safe for all.